With Apple's new phone set to take the mobile world by storm, we look at how some of its coolest bells and whistles will impact gaming. Are you one of the two million people who merrily handed over their hard-earned cash for an iPhone 5? Maybe you're on the fence and need a few good reasons to convince yourself to upgrade yet again. Whichever camp you fall into, we've taken a look at some of the new features of the iPhone 5, and why we think they're going to make a difference to your mobile gaming experience. Returning to our iPod Touch from a second-generation iPad really highlights just how much of a difference those incremental processor upgrades can make. The hardware giant has typically shrunk down existing powerful hardware for it's small devices to stay ahead of the competition. Not so with the iPhone 5, which forgoes the predicted candidate of the new iPad's chip for something altogether new. We don't yet have the exact stats behind the power of the iPhone 5's A6 chip, but Apple informally describes its capability as being around twice that of the current iPhone. The Retina display introduced with the iPhone 4 was a very welcome addition indeed, and it really made our favorite, updated games shine, thanks to the greater screen fidelity. In the short-term, developers of existing apps will either need to tweak their games to take full advantage of the screen size, or suffer with black borders around their carefully crafted creations. It's all good news for gamers though, because this more powerful processor fills out an even higher resolution screen for the next generation of mobile games. We're not sure how Apple manages to hammer out an even slimmer iPhone with each iteration (while also managing to up the specs), but as expected, the iPhone 5 is going to be the most portable version of the device we've had our hands on. Want the stats? 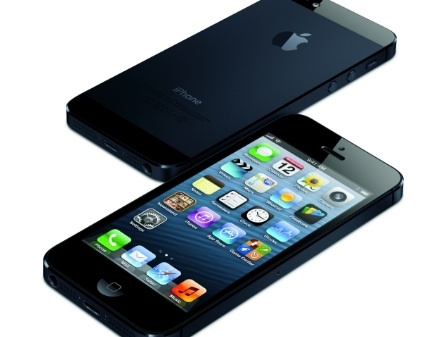 This brand-new iPhone is 20 per cent lighter, 12 per cent smaller (by volume) and 18 per cent thinner than the iPhone 4S. Not bad at all, given the extra oomph being added to the hardware, not to mention the increased screen size. That's the claim that Apple has made, and we'll soon find out how true this turns out to be. It also depends on where exactly you draw that console line, given the variation between the performance of the Nintendo Wii, and the meatier horsepower of the Xbox 360 and PlayStation 3 consoles. If developers can get close to this target, then it'll certainly take the mobile battle with the traditional handhelds to a whole new level. Will we see developers dig deep into the system to achieve a graphical fidelity that rivals the PlayStation Vita? Or we can expect Square Enix to see that as a green light to release even more back-catalog games at an eye-watering price? We suspect the reality will likely be a combination of the two. Integrating mobile versions of big-name franchises with their more traditional console counterparts has been too much of a temptation for some of the big publishers to resist, and we can expect this temptation to be even greater with the release of the new iPhone. With big-name developers able to render their games in higher resolution and at a greater performance, mobile platforms are going to become a lot more appealing. All of your favorite console games replicated on a mobile, or supporting console gameplay on the go? Sounds like gaming heaven to us, and the opportunities afforded by the iPhone 5 are only going to help make the dream a reality.